Jen grew up in the small town of Orwigsburg, Pennsylvania. Lined with rolling hills, and beautiful seasons, Orwigsburg is tucked away in the southern part of the anthracite coal region. The 3,000 + people here are as tough as the anthracite coal itself; including Muhammad Ali, who in the seventies had his training camp here in Deer Lake. Orwigsburg is where Jen’s passion for climbing trees, running through the woods, sledding, and playing baseball all began. She was actually the first girl to make the town’s Little League all-star baseball team - playing second base. Her supportive family and motivational middle school science teacher/volleyball coach/basketball coach, inspired her to pursue her athletic goals. In high school, Jen continued her competitive athletic career pursuing three-sports: volleyball, basketball, and track & field. Jen was a setter for the Eagles volleyball team and 'three guard' for the Eagles basketball team. In track & field, Jen ran the 4 x 100 and 4x 400 relays, long-jumped, and threw javelin. Her senior year, Jen was fortunate to qualify for states in basketball and javelin, placing ninth in Pennsylvania for javelin. Despite being 5'2" on a good day, her real passion was volleyball. She was determined to continue playing volleyball in college. Eventually, her sports career at Blue Mountain High School earned her a 2006 induction into the Sports Hall of Fame. Jen Burdis of Blue Mountain throws the javelin 127 feet, 3 inches to qualify for the state meet. At 5’2”, following her passion and not her height, she pursued her dream of playing Division I college volleyball. Growing up watching Penn State volleyball games with her family, she always wanted to play on the team she idolized. In 1992, Penn State just joined the Big Ten, and the following year, in 1993, Jen had an opportunity to walk onto the Penn State Women’s Volleyball Team. The transition to Penn State was tough without having big club volleyball experience like the other players. Her red-shirt, freshman, and sophomore years, consisted of having to sit on the sidelines to watch while building fundamental skills in practice, gaining confidence, and learning a new position. With Fab 50 players, and players with major club volleyball experience, Jen had a long road ahead of her in gaining the volleyball skills needed to transition from a small town high school setter, to a division I college defensive specialist. Read Burdis Plays Big on Court - PSU Daily Collegian article here. Russ Rose, The winningest college volleyball coach with seven National Championships, expected nothing but the best effort from his student-athletes every moment on the court and everyday in the classroom. With lots of hard work, it was at Penn State where Jen earned All-Academic Big Ten Awards every season. The team was very competitive winning three Big Ten volleyball championships, making three Final Four appearances, and losing the national championship in five games, her senior year, to Kerri Walsh’s Stanford team. Penn State won their first national title the following year, followed by six others, in Coach Rose’s successful thirty-nine years of coaching. After college, Jen traveled from the East Coast to the West Coast to become an elementary school teacher. As a second grade teacher, Jen started training Brazilian jiu jitsu, sometimes twice a day, earning her blue belt. She trained for over two years, but ended up dislocating then tearing her shoulder in a few places during a competition. Surgery was needed, and she was told she’d never be competitive in volleyball or jiu jitsu again. Jen continued her education earning a Master’s degree from San Diego State University, in reading and writing curriculum instruction, and another forty units beyond. Jen's been teaching elementary school for the last twenty years, and has taught second, fourth, fifth, and sixth grades. 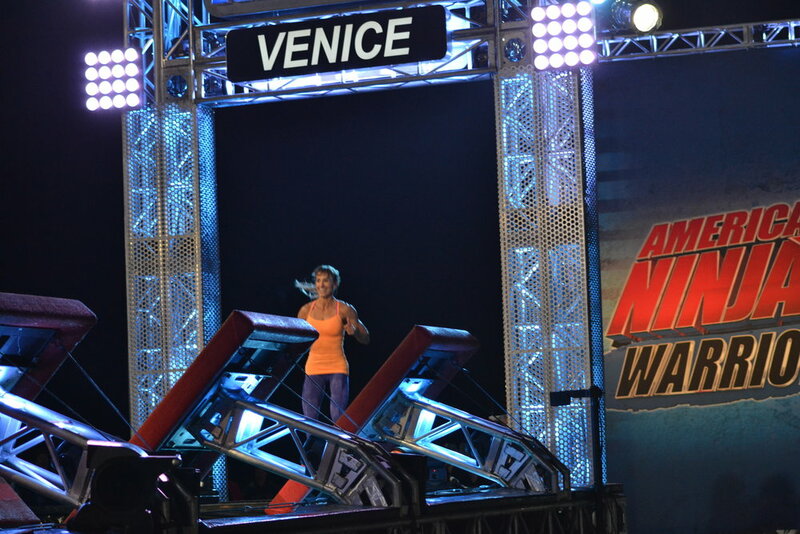 A few years ago year Jen had her first opportunity to run the Season 6 American Ninja Warrior Course in Venice Beach, CA. It was an amazing experience, meeting a variety of diverse athletes, with such drive, determination, and skills. She's hooked and grateful to know so many wonderful people supporting her on this new, exciting quest of promoting health and wellness among teachers, students, and families. It has been an incredible experience for her to share with her fourth graders and friends: the goal-setting, new training, healthy eating, connections and friendships, how her mentors are helping to guide her, and the lessons she is learning along the way. Ninja Warrior has been an invaluable learning tool. The American Ninja Warrior experience has been life-changing in so many ways. Meeting incredible athletes with different backgrounds, inspiring stories, and dedication to training, Jen will forever be inspired by these amazing individuals. She's so grateful to her friends, family, and students who support her in reaching her goals. In February 2014, North County Volleyball hosted the second annual two person king & queen of the beach co-ed volleyball tournament "War of the Roses invitational" to benefit Huntington's Disease Society of America (HDSA). Thanks to Paul June for organizing such a great event and thanks King Adam. Jen knows from season 7, it's not an easy road and has learned just as much, if not more, from the failures versus success. She's so passionate about learning how to train differently, think differently, and develop the skills to overcome whatever new obstacles may appear. Jen's excited about this journey and can't wait to share her experiences with her students, friends, and families. Right after Season 7 of American Ninja Warrior, Jen tore her left Achilles running up a wall in parkour. It was a three quarter tear. With the Doctor's advice, Jen opted to cast it, boot it, and move on crutches for many months while nature took its course before learning how to walk again. The recovery took two years in patience. This healing time allowed Jen to concentrate on building educational relationships, lead the EduNinja™ health & fitness challenge for teachers, take educator mindfulness classes, and become a positive voice in expressing the benefits of health and wellness in schools. What's next for Jen? 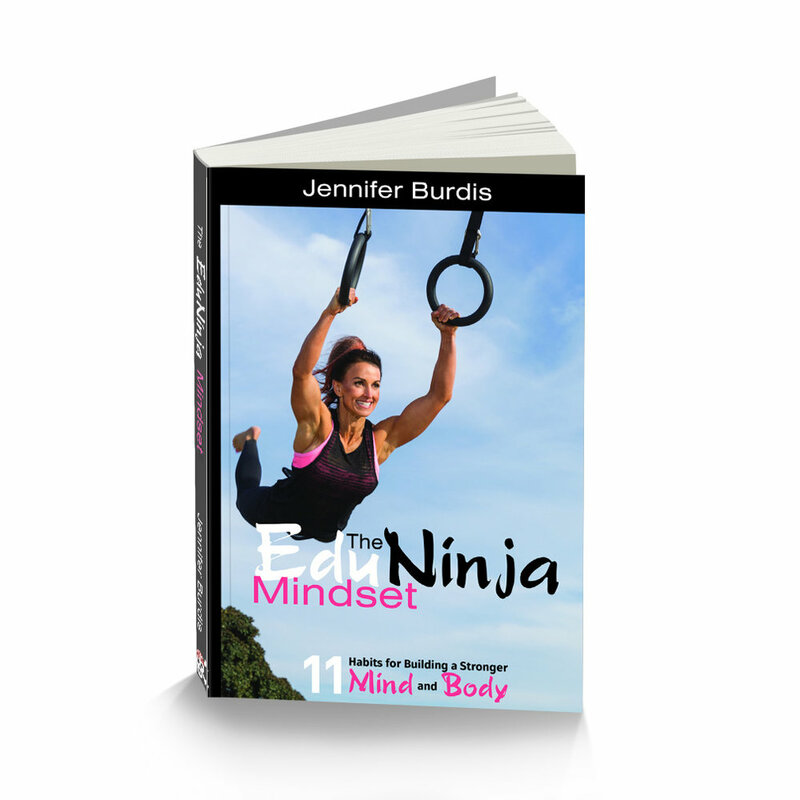 Jen is still teaching her fourth grade "Little Ninjas" and her students are just as determined about reaching academic goals, staying physically fit, being mentally strong, and sharing positivity. Jen's fourth grade class is very active and healthy taking 'movement brain breaks' during transitions, eating healthy snacks, drinking water every hour from reusable water bottles, participating in EduNinja™ Fit lunch clubs, reading while riding the class stationary bike, and meeting up as a class trying new physical activities outside of school. As a NSCA-Certified Personal Trainer, Jen is leading EduNinja™ Fit Teachers and encouraging others with the Third Annual EduNinja™ 30 Day Challenge, keynote speaking at teacher professional development conferences to promote whole child education with an emphasis on creating a culture of health in schools with kinesthetic lessons, brain breaks, healthy eating habits, and mindfulness. Thanks for inspiring healthy teachers, students, friends, and families.